Each month, starting February 2019, Morgan Koegel, General Manager at 3000acres, will highlight an issue that the local food movement should be thinking about. Over the past decade, we’ve seen parts of local government take on a larger role in proactively reacting to social and environmental change. For example, some councils have been responding to climate change, welcoming refugees and meaningfully acknowledging Indigenous Australians. In some cases, this work has expanded to the facilitation of urban agriculture within council, as part of climate change mitigation/adaptation, improvements to waste services, or community development and resilience. 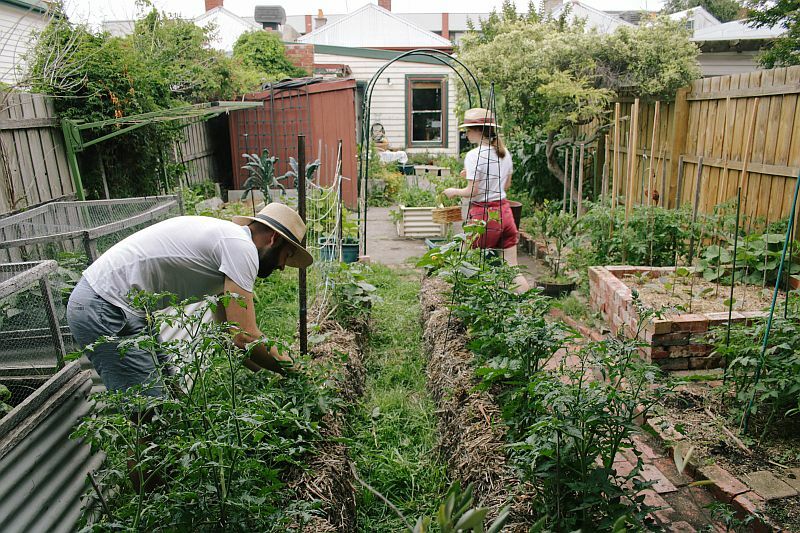 Some councils are creating relevant policies (for example, nature-strip gardening in Darebin), offering financial and practical support to urban agriculture groups, or even employing specialised urban agriculture staff. Depending on where you live, your council might have an Urban Agriculture Strategy (e.g. see Moreland’s). In our increasingly built-up environment, public space for urban agriculture is at a premium, and some council strategies are calling for greater collaboration between planning and community development departments. This collaboration could support forward-thinking developers and architects to design housing with incorporated urban agriculture – such as communal gardening areas and green roofs. There is no specific requirement for green roofs on buildings but, as Melbourne marches towards 8 million people by 2050, our rooftops may (hopefully!) adapt to play a larger role in our lives. If you want to learn how your council is supporting local food production, or you want to encourage them to do more, I suggest that you start by contacting their sustainability or community development team. At 3000acres, we spend a lot of time talking to councils about possible community garden projects. There are many aspects of community garden designs that councils are happy to leave to the community to decide, but one component that they sometimes have strong feelings about (on both sides!) is fencing. Fences can represent different levels of protection for a community garden – dog-proof, possum-proof or even people-proof – but some councils are resistant to fence new community growing projects at all. For some, even if a fence is unlocked, it represents a barrier to what is intended as public space and, with allotment gardening, even a privatisation of public space. On the other hand, in some built up areas where community gardens are desperately needed for residents without their own growing space, a fence can deter vandalism. While we haven’t yet seen a significant amount of damage in open gardens we’ve worked with, there have been issues with graffiti, theft of tools, and the systematic pulling out of seedlings by a disgruntled local. While fencing can be polarising at a management level, we’re interested in some of the emerging compromises – such as a fenced veggie patch and unfenced surrounding orchard. West Brunswick Community Garden has an open food forest and a low fence around their garden which still allows for compost scraps to be passed over. Rushall Community Garden has both composting and growing space outside of their fenced area. We hope that these combinations of fenced and unfenced growing can serve as examples to councils newer to community garden builds. Alanjohn is growing in-ground at his house in Coburg and signed an memorandum of understanding with his landlord so that there wouldn’t be any issues with the changes when he vacates. 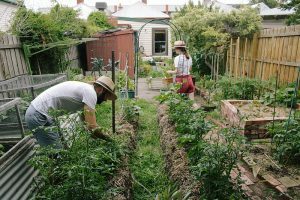 Alex and Julia in Clifton Hill have opted to grow a lot of their food in straw bales so that there is less work to do to return the property to its original state. In order to add a beehive to her Northcote rental garden, Morgan bartered home-harvested honey with her landlord. While many renters were managing tightly pruned fruit or espaliered trees in pots, Greg in Fawkner focussed on sharing the future garden by planting straight into the ground.